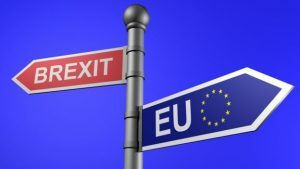 Home | News | Brexit | What are the possible implications of Brexit for the haulage industry? Whatever the outcome of the various negotiations that are currently being undertaken by Great Britain, Ireland and the EU, it is without doubt that Brexit has already had a profound impact on the transport industry, and will continue to have a massive effect on the state of the industry across the EU. However, it has the potential to shape the future of the Irish transport industry, which is in a precarious position as it’s biggest trading partner negotiates their exit from the EU. At such an early stage, getting a clear description of a post-Brexit business environment is near-impossible, as there are a variety of deals that can be struck between the UK and EU. Should the UK remain in the European Economic Area, the free movement of goods and services between Britain and Ireland will continue, which would be of major benefit to Ireland. However, what is more likely is a more comprehensive withdrawal, which would mean the UK and the EU setting border tariffs. Businesses moving goods across the border would have to declare what the products are, and pay a levy on them, potentially resulting in a price increase of 5%-25%. It is estimated that these tariffs could damage trade between the UK and Ireland by as much as 20%. Moreover, the potential issues and delays caused by border control could cost companies further money, as delays and extra costs would become commonplace. British Prime Minister Theresa May has stated that continuing free trade within the EU is a key goal, which can only be less problematic. It is important for Ireland that Brexit is as smooth as possible, as a hard exit would only result in tariffs on both importing and exporting goods from the UK. Another important issue of Brexit is the border in the North of Ireland. A hard border, with passport control, border checks and customs would be a major problem for Irish transport companies, causing cost increases, delays and administration issues. There would be regular checks of trucks and trailers, which could cause major delays to deliveries and potentially damaged goods. Both Enda Kenny and Theresa May are opposed to a hard border in the North, agreeing that “a close and friction-free economic and trading relationship” between the UK and Ireland was “in our very best interests”. Both countries being in favour of a common travel area between Ireland and the UK can only be viewed as a positive, however with negotiations in such an early stage, a potential hard border is still a very real threat. The value of Sterling is falling rapidly against the Euro, and in the hours after the Brexit result was announced, fell by 8%. Sterling’s current value against the Euro is around €1.14= £1, and it will remain weak for a considerable period. This has a major effect on trade between Ireland and the UK. Exports from Ireland to the UK are more expensive, and imports from the UK are cheaper. There will be two years of negotiations on terms for the UK’s exit from the EU, and while these negotiations are ongoing, the current regulations will remain in place. The biggest issue is whether or not the UK remain in the Single Market for trade. The future of the Irish transport industry will be shaped by this outcome. It is key that the UK stay in the Single Market, and Ireland can continue to avail of tax-free, border-free trade with it’s biggest trade partners.